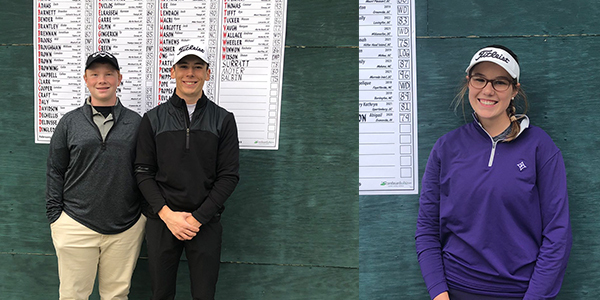 Zach Adams (+2) of Charleston, S.C. and Savannah Hylton (+3) of Hilton Head Island, S.C. won their respective flights Saturday in the Dustin Johnson World Junior Golf Championship Qualifier at TPC Myrtle Beach, earning entry into a field of 90 elite junior golfers from around the world who will compete in the main event March 1-3. Nicholas Mathews (+3) of Mebane, N.C. earned a spot in the field by finishing regulation play in a five-way for second in the boys flight and winning a sudden-death playoff. Mathews, a high school junior, parred hole No. 10 in the first round of sudden death to eliminate three competitors, then parred the hole again in the second sudden-death round to earn his bid. The World Junior Golf Championship enters its fourth year in 2019. The competition was launched by Johnson, the world’s current No. 3 (and previously top-ranked) golfer, in an effort to provide a PGA TOUR-like competitive experience for 90 of the premier junior players from around the world. The player field features boys and girls ages 13-18 and is sponsored by TaylorMade, TPC Myrtle Beach, Dustin Johnson Golf School, PlayGolfMyrtleBeach.com and Founders Group International.